Holy Gospel of Jesus Christ according to Saint Luke 9: 28b-36. And behold, two men were conversing with him, Moses and Elijah, who appeared in glory and spoke of his exodus that he was going to accomplish in Jerusalem. 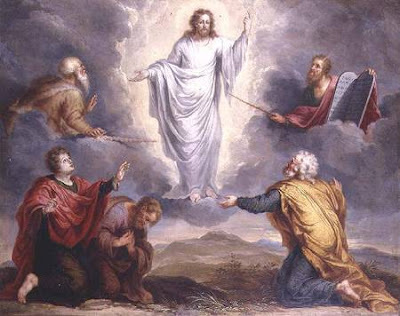 As they were about to part from him, Peter said to Jesus, "Master, it is good that we are here; let us make three tents, one for you, one for Moses, and one for Elijah." But he did not know what he was saying. While he was still speaking, a cloud came and cast a shadow over them, and they became frightened when they entered the cloud. Then from the cloud came a voice that said, "This is my chosen Son; listen to him." After the voice had spoken, Jesus was found alone. They fell silent and did not at that time tell anyone what they had seen. Thanks for sharing your thoughts about how to make a quick buck.